Six Weeks of FREEBIES: Week 1...Buckets of FUN! As a THANK YOU to all of the teachers who have supported us, inspired us, and encouraged us over the years, we're throwing a HUGE celebration this year! SIX WEEKS of FREEBIES! Our first FREEBIE may be a little late for some of you for THIS YEAR, but we're hoping you will all be able to use it at some point! As you may have seen in previous posts, or on instagram, I've just completed by SUMMER BUCKETS. I've had lots of questions about the things I put in them, so our first freebie is something to help you assemble SUMMER BUCKETS for your kiddos! 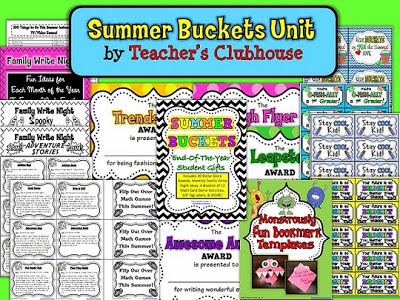 This file is 86 pages of goodies that will help you create a bucket that is FUN and EDUCATIONAL so that your students can kick off their summer with BUCKETS OF FUN! This packet includes everything I used to create my buckets - plus MORE! Just click on one of the images above to go to our TpT store to download. If you download this freebie, we would LOVE for you to leave some feedback love on it. We would also LOVE for you to share our SIX WEEKS OF FREEBIES BIRTHDAY CELEBRATION with others....let them know that they can go pick up this freebie - with more to come! 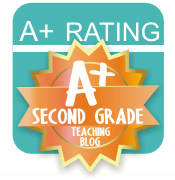 You can include the above image on your blog if you'd like to let others know about it. We will leave the "Summer Buckets" unit for FREE all week and then it will be for sale. We will post a NEW, FREE UNIT EACH WEEK FOR SIX WEEKS. But, each unit will only be FREE for one week, so be sure to follow our TpT page for reminders so you don't miss out on one! CONGRATULATIONS on your six year bloggy birthday, that is so awesome. You always share such wonderful ideas but this giveaway is over the top fantastic. 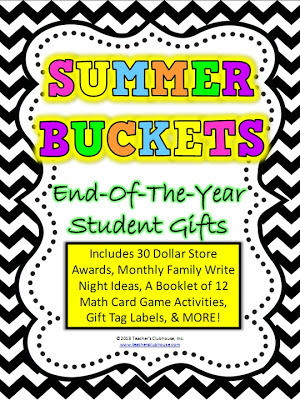 I just got summer buckets for my kiddos so this freebie will be perfect. . . PINNING!!!! I can't wait to see what will be coming out over the next few weeks. Thanks for your generosity. Thanks, Stacy!! 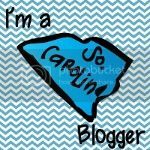 We're celebrating 6 years at our shop, but my 1 year bloggy birthday is coming up soon, too!! SOOO many goodies coming!! I'm so glad this freebie came at the right time for you and hope that it has some stuff that will help you out! My how time FLIES!! Congrats on your continued success... 6 years and counting! Headed there to download now! Thank you for this freebie! This is so cool I've written about it on my blog too! Thanks so much for sharing (we don't finish until December so I'll definitely be able to use it! Congrats on 6 years. Thanks so much for this very SWEET freebie. Just in time for me to get these together for my sweeties. You rock! Thank you so much! 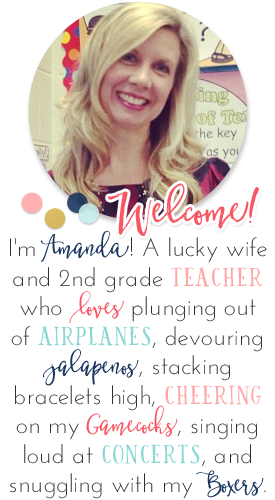 Thanks for sharing some great products Amanda! Can't wait to see what is next! I love these! They are perfect for the end of year. Thank you for offering them for free. Congrats on six years! You are such a wonderful inspiration to so many! Thank you for such an awesome freebie! Thanks for the awesome freebie and congrats on six amazing years! WOW... SIX YEARS?! That is an AMAZING accomplishment!!! Thanks so much for the EOY freebie! LOVE the awards and I'm planning on using those! Thanks so much for this. I can't wait to use it as soon as possible. I LOVE this packet! The family "write night" activities are great, and I really want to use them! So I have been an avid member of Teacher's Clubhouse for YEARS! It started right when I was starting out teaching and I have been hooked. Thanks for constantly creating amazing materials for teachers! Thank you so much for the perfect end of year gift! My parents and kids raved about it. Thank you so much for sharing such a fun gift! Oh darn! This sounded neat. I guess I missed it. Love all the ideas and sharing. Friday Flashback: Wrapping It Up! I'm CURRENTLY obsessed with Instagram!